We outfit kids, families, seniors, powder hounds, park rats, racers, and back country skiers of all levels. You will find our staff friendly, knowledgeable, courteous, and willing to assist you. Whether you’re looking for skis, boots or bindings, we invite you in to view the gear and get some great advice on selecting the right products. Our ski and boot buyers have worked hard to help take the guess work out of product selection. Every year we attend several on snow demos and ski shows where we ski on every model we sell. We appreciate that every skier wants their equipment to match their own skiing technique, ability, and style. So please drop by or give us a call (250-334-2537) and we can help get you out skiing on a great pair of skis or boots you will love! Our ski selection and inventory is the most extensive on the Island offering something for everyone. Ski brands we carry are Rossignol, Salomon, Volkl, Armada, Head, Blizzard, Elan, Dynafit, and G3. These product lines have great models for free ride, park, slack country, and backcountry ski touring. For the best advice discuss your skiing needs with one of our staff members. For those who find they just can’t decide, we offer our DEMO program. Most of our performance skis are available to try before you buy. Best and largest selection of Alpine ski boots on the Island. Boots (and feet) change over time with wear, tear, and age. We specialize in fitting not just new boots, but those ones you have had for a few seasons that just don’t fit right. Bring in your old boots if you think they need some work. Most are amazed at what can be done to improve their fit without necessarily purchasing a new boot. Other products and services we offer include custom molded footbeds, boot heaters, heat molding(of new and used boots) and of course advice! We have just about every boot fitting tool in the back shop and the expertise to make your boots fit like they should. Our experience can help you get what you need. Just like skis and boots we offer an extensive selection of ski bindings. Choosing the right model is often difficult. No worries though, we are happy to take the confusion out of this for you. 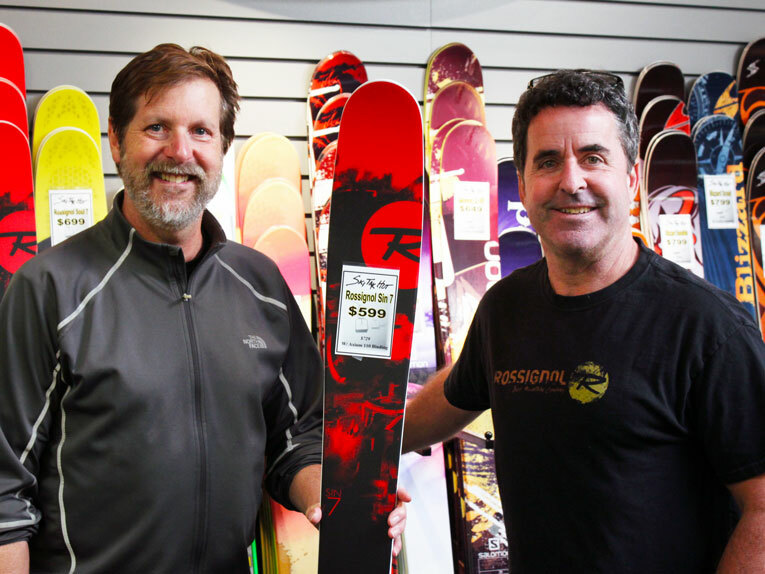 Our staff can recommend the right models for your skiing needs. 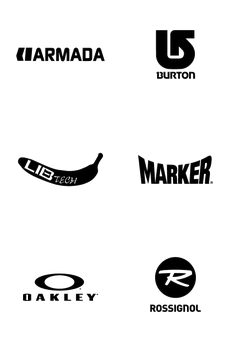 Brands we carry are Look, Salomon, Marker, Tyrolia, G3, and Dynafit. So whatever type of skier you are we have the gear to give you the performance and safety you expect.